Oatmeal based powder, neutral flavour. Consuming oats is an excellent way of obtaining vital nutrients, such as protein, carbohydrates, vitamins and minerals. If you are on the lookout for premium quality powdered oats that will support your active way of life, Zumub Oat Flour has you fully covered! 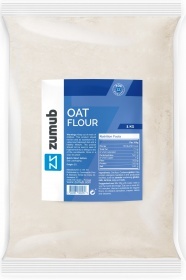 Zumub Oat Flour is perfect for those who are looking for a quick and easy source of nutrition to improve the quality of the diet and to complement an active lifestyle. With powdered oats, all you need to do is just mix it with water or any of your preferred beverages, and you are all set – you may even use it for baking your favorite baked treats using it as a substitute for regular flour! Oats are loaded with protein and carbohydrates that will support muscle growth and replace depleted energy reserves. For better muscle gain results you can mix it with water and add a protein supplement. With oats you can also get a variety of vitamins and minerals and fiber that will promote excellent whole-body health and wellness. Help to control appetite by keeping you feeling full and satisfied for longer time periods. Support muscle development and recovery. 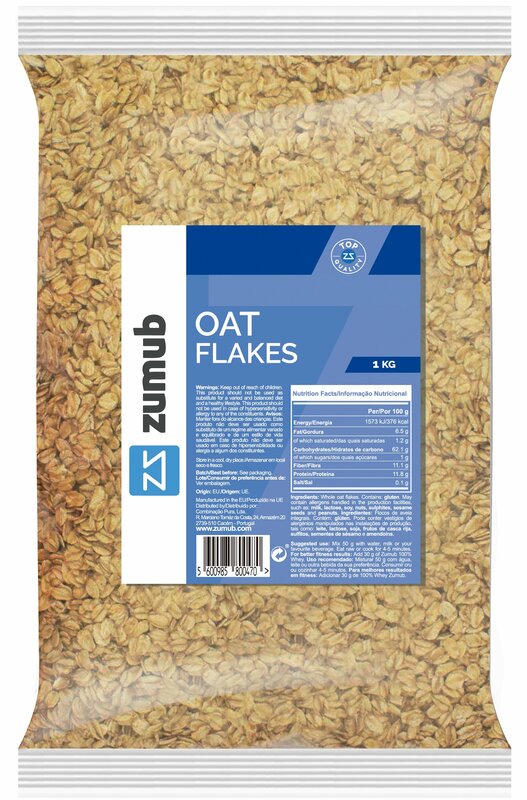 Enjoy the benefits of oats, improve the quality of your diet and support your active lifestyle with Zumub Oat Flour. “Oat Flour 500g” is currently out of stock. Enter your details below and we will let you know when it's back in stock. “Oat Flour Flavoured 500g” is currently out of stock. Enter your details below and we will let you know when it's back in stock. “Oat Flour 1KG” is currently out of stock. Enter your details below and we will let you know when it's back in stock. “Oat Flour Flavoured 1kg” is currently out of stock. Enter your details below and we will let you know when it's back in stock. ALLERGEN INFORMATION: Contains Gluten,May contain traces of milk, eggs, fish and soy. Mix 100g with 250ml of water or your favourite beverage. WARNINGS Oat Flour : Store tightly closed in a cool, dry place. BEST BEFORE: Please see lot number and expiration date stamped on the packaging.